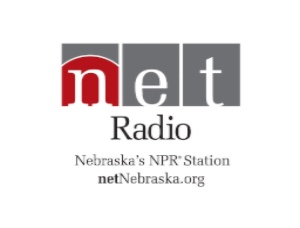 Enriching lives, engaging minds, and connecting Nebraskans through music, news, information, entertainment, and commentary from around the state, nation, and globe. Nebraska’s NPR Station. $150 pays for 10 new classical music CDs. Dr. Robin Huebner of Stanton describes living on a farm as a dream come true. Originally from the East Coast, she was born in Boston, grew up in Indiana and went to school at University of Delaware. She moved to Nebraska 33 years ago and practiced clinical psychology in Norfolk before moving to a farm where she boarded her horse. Now retired, she enjoys her rural life immensely. Huebner enjoys NET and decided it was the right thing to do to name Nebraska’s public media network a beneficiary in her will. “This is a form of paying back and paying forward. I’ve enjoyed NET many hours every week and have just loved it and appreciated it so much that I wanted to provide the same opportunity for those that come after me,” she explained. She said her radio is permanently set to NET, she enjoys classical music and the NPR interview program Fresh Air. Like so many NET fans, Huebner is a lifelong learner. She listens to NET radio programs such as Wait Wait… Don’t Tell Me! and enjoys cooking, gardening and travel shows on NET television’s Create channel, as well as NET’s original productions including Nebraska Stories. “There is a foundation of truth and balance that I value in NET and I want to help make this available to everyone in Nebraska,” she added.